Nootka Sound is located a little over half way up the west coast of Vancouver Island, British Columbia. It is an extremely remote, rugged and windswept location. The oysters raised there are beach grown and thick-shelled, and must travel by truck over what is little more than a logging road through a mountain range just to get to the ferry that takes them to the mainland. They are grown in ideal conditions. Nootka Sound is open to the cold north Pacific waters, rich in nutrients from the strong coastal upwelling of the region. 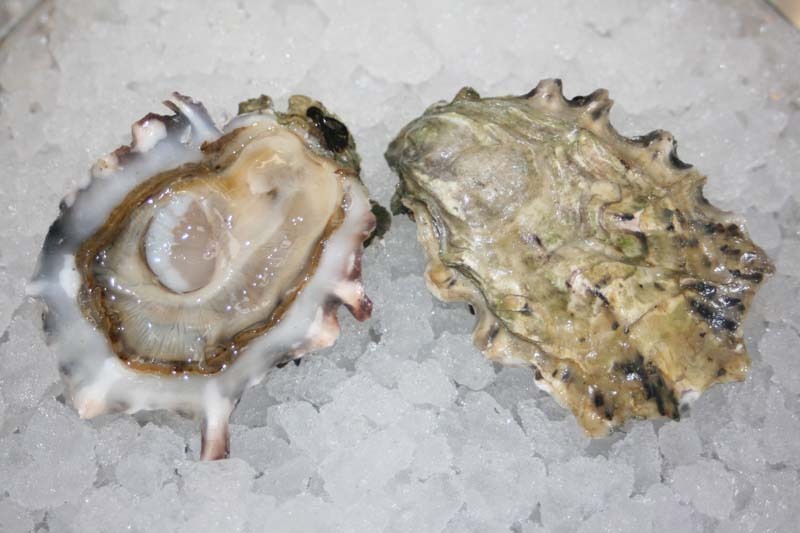 The oyster’s meat is salty, plump and rich. They are quite sweet with a cucumber like aftertaste. Nootka Sound Oyster - Marinelli Shellfish Co.